Clever designs can save money. In the wake of Hurricane Katrina gas prices all over the US including, St Louis, have jumped. 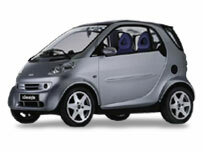 Save money by driving the amazingly designed smart car..it gets 80 miles to the gallon!